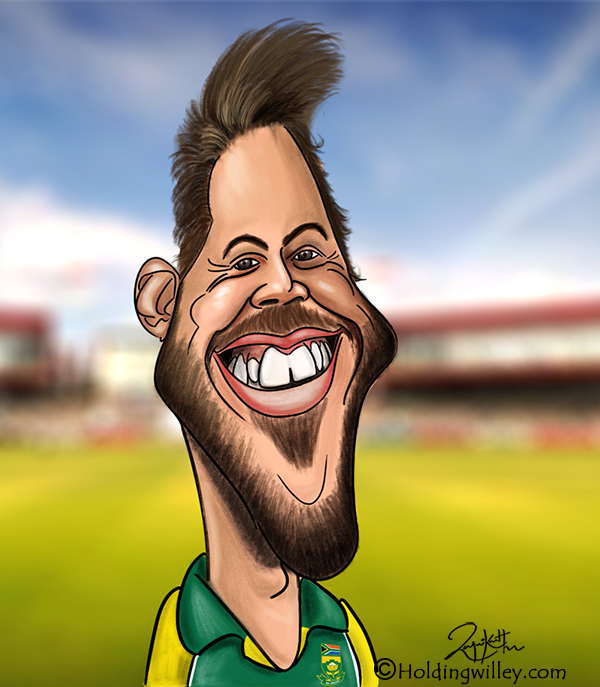 Is AB de Villiers the last true global cricketing superstar? I know the title of this piece looks a little clickbait-ish, but it’s been all I can think about since AB de Villiers told the world he is tired, and is saying farewell to international cricket. Countless words have been published on the merits of that decision; I’m not sure why as AB is the owner of his destiny like anyone else. I would like to cast the spotlight more on the hole he is leaving behind, rather than why he is leaving. As a talented, rebellious youngster with scruffy blond hair, AB came onto the international scene swinging. He was something special, and everyone knew it. He was the talented young’un all the seasoned campaigners were calling ‘the future’ of the Proteas team. He had his ups and downs. Being South African, he was naturally involved in some World Cup calamities. All the while though, he was making a name for himself as an international superstar. No matter the format, everyone wanted to watch him play. He was so much more than just a tantalizing talent: he could block out a Test match, he could take a ripping catch in the slips, he could face the new ball, close out a game… he could be a wicket-keeper / batsman / captain. And he genuinely seemed like one of the game’s ‘good guys’ too. Someone the ICC could confidently say was a fine ambassador for the sport. As he matured, his game continued to evolve, so much so that he became known as the 360-degree player. On his day, no bowler was safe, and this of course made AB a massive drawcard in the cricketing circus of the IPL. I could go on at length about his records, the famous knocks, the incredible run of consecutive Test matches played, his debut album, but this story makes sense more when you go past AB’s brilliance and look at the game he is leaving behind itself. I posed the question if AB is the last true global cricketing superstar as I really don’t think cricket is actually capable of creating more like it used to. Indian fans will quickly laugh this off of course. But let’s not kid ourselves. Indian players are essentially ‘superstars in India’. That’s a big enough world in itself in many ways, but not for the point of this conversation. Ah yes, you may say that Virat Kohli is every bit the superstar of AB (perhaps more so stats wise). Wrong again. Outside of India, everyone pretty much hates the guy. Don’t shoot the messenger here, it’s pretty obvious. What of the Australians? I think that question answers itself all things considered in recent months. The West Indies are all over the place, Sri Lanka and Pakistan have their own troubles and England’s last true superstar was South African. If you were to predict the names of the players that the next generations will be queueing up to watch, it really is a tough task. This isn’t necessarily the fault of the players though. Test cricket is where legends are made in this game. As impressive a limited overs player that AB was, Test cricket is where he essentially made his name. Players are playing less of it nowadays, as it’s near impossible to play Tests and commit to the full white ball schedule. But what about the T20 superstars? The future rock stars of the game? A couple swashbuckling knocks here and there won’t make you a household name anymore. The IPL reminds us of this every year. T20 is entertainment just like anything else. It competes with Netflix, Marvel’s endless string of superhero movies and Donald Trump turning world news into a reality TV show. In theory, the next generation of fans could simply pick up an ‘AB’ of their own, but I disagree with that too. Kids aren’t interested in sports like they used to be. The above entertainment options aside, eSports is a massive thing now, and the ones that do actually want to play the real sports are becoming increasingly seduced by American sports, or just following the masses into football. Not cricket. This is particularly telling in the land of AB, which doesn’t bode well for future Proteas teams and fan bases. Then there is the ICC, an organization that is literally sweating over the future of the game as they look to be less and less a part of it. India could ‘IPL’ Test cricket and they know it, then they would have nothing. The ECB are struggling to stay relevant as that ‘100 ball’ format proved, and this desperate measure reminds us that governing bodies are less and less capable of keeping cricket, as we know it, together. 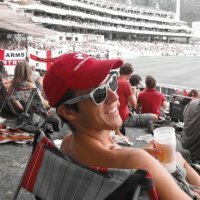 I still believe cricket will still be fine in the future. It is after all the game with the second highest participation numbers in the world behind football. But it will be more fragmented, and will never be able to boast a player with the global reach and appeal of AB de Villiers. I may be wrong here, and I sort of hope I am, but with the way the game is going and when you stop and consider just how special AB was in an overall sense, I think this article will age well.